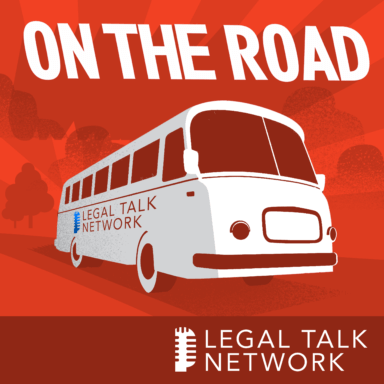 Legal Talk Network producer Laurence Colletti, The Digital Edge host Jim Calloway, and ABA Journal legal affairs writer Victor Li interview three presenters from the 2015 ABA TECHSHOW. Jeff Richardson recommends some fun and productive apps for iOS devices. In talking about his favorite Android apps, Rick Georges mentions that any app or technological device that makes a lawyer more efficient and productive in life makes him/her a better attorney. Ben Schorr dives into Windows apps but takes the broader view of the mobile ecosystem for lawyers including hardware and software. Jeff Richardson is a litigator in the New Orleans office of Adams and Reese LLP and writes a blog called iPhoneJD. Rick Georges practices real property, corporation, wills, trusts, and estates law in Pinellas County, Florida and writes the FutureLawyer column. Ben Schorr is CEO of Roland Schorr & Tower, a professional consulting firm headquartered in Flagstaff, Arizona, a technologist, and the author of several books and articles on technology.